Old Harry lies at the end of a chalk headland that sticks out to sea and is part of the Purbeck Monocline that gives rise to the prominent ridge of steeply dipping Cretaceous chalk which now forms the Purbeck Hills. This chalk band runs from Swyre Head via Flower’s Barrow to Old Harry Rocks. 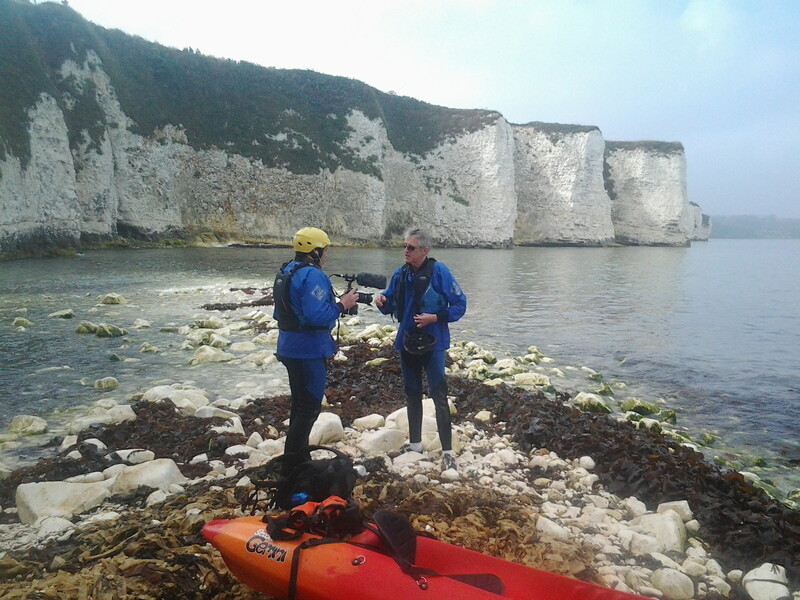 Jesse Lawrence directing Jeremy during filming by the chalk stacks that link Studland to Swanage, in Dorset.